Y’all ready for the battle between fire and ice? Game of Thrones returns for its eighth and final season in April, an event many both look forward to and dread as it means the end of this magnificent story and the compelling storytelling. We at Parker Law Firm plan to watch the opener along with an anticipated audience likely to top the 16.1 million who sat down for its seventh season premiere. So, it got us thinking about how our Bedford personal injury firm shares some core values with this juggernaut of a show. Parker Law Firm shares its Four Fundamental Principles with our clients, on the website and pretty much anytime we can fit it into the conversation. So, as a run-up to the premiere, here are three values we share with Game of Thrones – and one we don’t. Warning: Spoilers if you aren't caught up yet. Sure, the dragons are cool, the costumes gasp-worthy, and the plot twists and palace intrigue exciting, but those aren't the real reasons the show captures the attention of millions worldwide. At the show’s heart, it’s the characters. We tune in time and again (regardless of how long we have to wait between seasons) because people matter. We want to know if Arya will find peace after her revenge wraps up. Will Daenerys be able to balance her political and romantic life? And is Tyrion Lannister part of an ancient prophecy (and does it really matter)? That’s not something unique to the seven kingdoms. It’s part of Parker Law Firm as well. Honestly, hundreds of people call us about their potential claims or cases. We filter through those requests to figure out who we are best suited to help. For those we cannot aid, we always attempt to provide useful information and/or a valuable referral to someone best suited for their type of case. We could take every case that walks or calls in. But then, we would lose the ability to establish a real and valuable relationship, provide individual attention, and deliver laser-focused expertise. Because people matter to us, we refuse to allow them to become numbers or cases in a law mill. 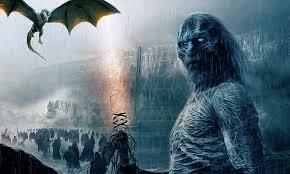 Does anyone undertake the effort to capture the iron throne who doesn't feel it’s their destiny and their calling? It’s an adventure that requires immense attention, sacrifice and not a small amount of ingenuity and smarts. Yet, the contenders for the throne push forward. Well, they push forward until their lives and time on the show end. If you watch our new video (now featured on our homepage), you will hear founder Brad Parker talk about how he was drawn to become an attorney at an early age. Not because of the salary or prestige, but because he doesn't like to see people taken advantage of by a big organization. Helping people get their lives back on track after a serious or catastrophic crash or accident isn't a career. It’s a calling, and one everyone in the firm fully embraces. Every season, the show highlights this through its many characters. Tyrion, nicknamed The Imp because of his size, fights back against prejudice and makes valuable contributions to his family, by sopping up all the knowledge he can cram into his head. He tells Jon that he keeps his mind sharp like his brother Jaime keeps his sword sharp. As both Arya and Sansa follow their own paths, the knowledge they gain literally keeps them alive. One of Jon’s key characteristics is that he knows nothing, and the bumbling about he does often proves it. And how different would have last season ended if Daenerys knew of her close kinship with Jon? The show isn't saying anything groundbreaking by acknowledging the advantage gained by knowledge. As a law firm whose won cases for victims of trucking accidents to wrongful death suits, we couldn't agree more. That’s why we take a deep dive when it comes to personal injury, yet we avoid family, estate and other types of law. Our knowledge gives us power both in the courtroom and out. Has anyone said an honest word, one not cloaked in politics and personal advancement, to another person in Game of Thrones? Maybe one of the Stark children when talking to their direwolves but not too many other times. 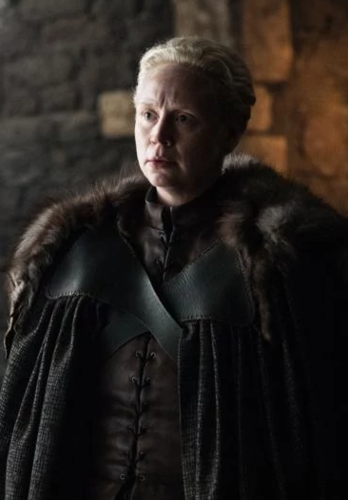 Well, one more exception: Brienne of Tarth tells the truth, as she stands as one of the shows only completely honorable characters. If the characters had sat down or sent some birds with clear, open communications, we might not have needed eight seasons to get to where we are today. That’s a shame on television, but a real asset in the real world. So this is where we must part ways with the show. We believe in open and honest communications. That means, we share the expected outcomes with our clients from day one, we don’t shy away from sharing difficult information, and our clients never have to harass us to get an update on their claim or case. Understandable, our clients don’t experience a Game of Thrones moment when it comes to working with us. We forgo the plot twists and prevent a lack of knowledge from getting in the way of attaining justice for those we represent. We cannot speak for other law firms, but those are the values we bring to every personal injury case we handle. If you’ve been hurt in a car or truck crash or suffered severely from others negligence or stupidity, give us a call at 817-503-9200. We will be sure to talk to you about our core values.